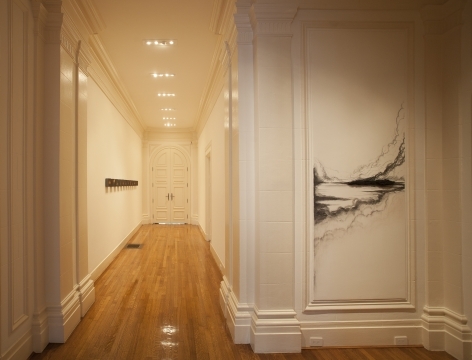 Anthony Meier Fine Arts is pleased to present an exhibition of new work by artist Teresita Fernández. 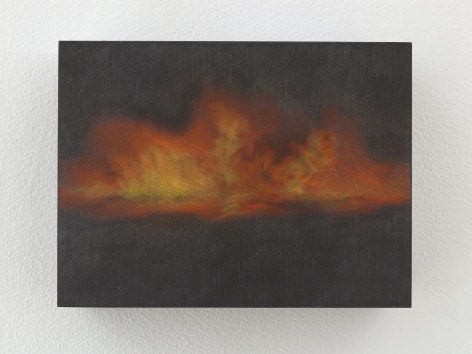 In her second show at the gallery, titled Small American Fires, Fernández deals with the many subtle and layered references – historical, environmental, social – of the iconic and universal element of fire. 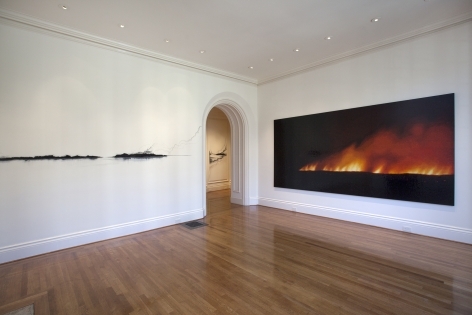 Creating an entirely new body of work, Fernández uses images of fire to refer to contemporary American violence, as well as the technique of slash and burn used by indigenous people throughout the Americas to shape and manipulate the land. Contrary to popular belief and warped historical perceptions, the “New World” was not a wilderness at the time of European contact, but rather an environment that the indigenous people had altered to their benefit for thousands of years, using fire in sophisticated, deliberate ways. 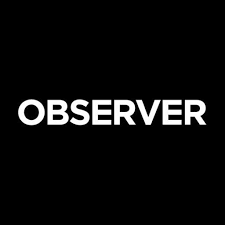 Fernández here seeks to revise our notion of what is the “American Landscape” and who gets to define it. 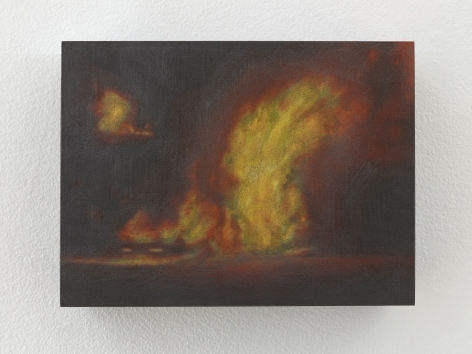 The title is also a reference to what we think of as “American art,” a nod to Ed Ruscha’s piece “Various Small Fires and a Glass of Milk,” and Bruce Nauman’s performance piece in which he burns Ruscha’s book. 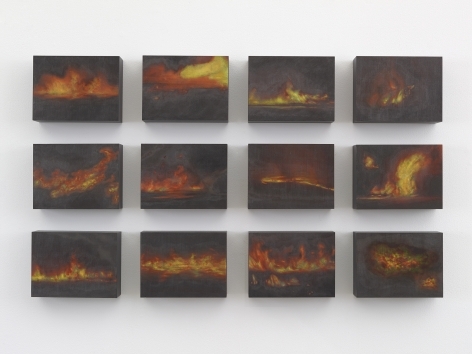 Fernández’s exhibition will include a large glazed ceramic panel, a series of small drawings and a site-specific installation entitled Charred Landscape (America). 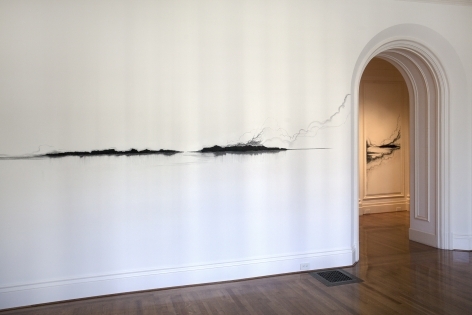 Comprised of built-up dimensional layers of lump, charred charcoal that seamlessly diffuse into a smoky drawing, the installation travels and dissolves over the white gallery walls. The end effect brings to mind the light and shadow chiaroscuro technique in Old Master sketches. 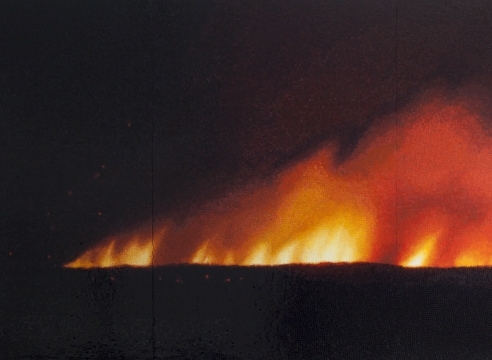 The largest work in the show, Fire (America), is a 12-foot long glazed ceramic work depicting flames on a nocturnal landscape horizon. 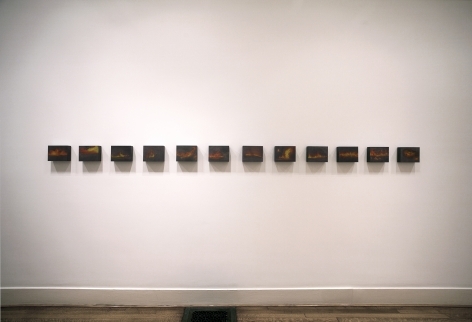 Made of many rich, deep black hues, the piece continues Fernández’s deliberate interest in materiality and in materials being, literally, parts of place. 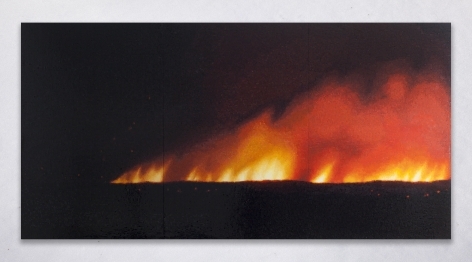 The glazed clay – earth- is baked at a high temperature – fire - to create rich, vitreous saturated colors and a sense of night; darkness and light that becomes physical, material, tactile as well as metaphorical and imagined. 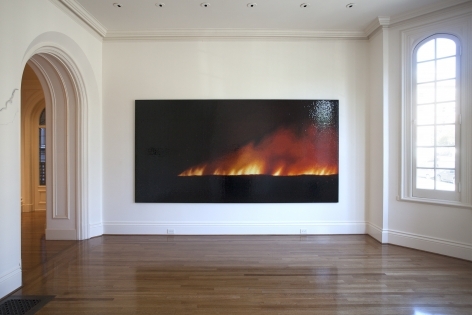 Fernández also summons up the pivotal and fateful significance of fire in San Francisco’s history as a variation of destruction and renewal in the city’s recent past. 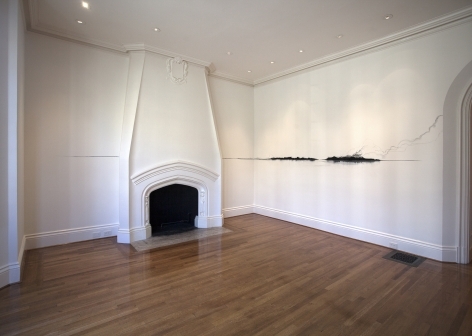 She employs the image of fire as present and ingrained in the city’s collective imagination. Fernández’s new body of work is also intricately tied to her 2005 piece titled Fire, a dyed silk and steel sculpture in the permanent collection of SFMOMA. 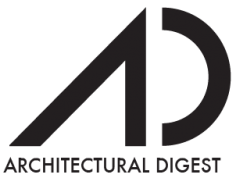 The sculpture was most recently included in the Beyond Belief exhibition at the Contemporary Jewish Museum in Fall 2013. 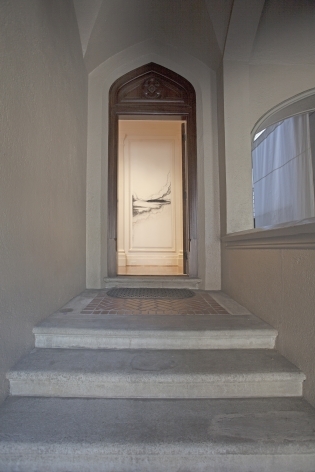 Fernández’s work is also included in the permanent collections of The Museum of Modern Art NY; the Museum of Contemporary Art, Chicago; the Miami Art Museum; the Modern Art Museum of Fort Worth; the Israel Museum, Tel Aviv; the Blanton Museum of Art, Austin TX; the Saint Louis Art Museum; The Walker Art Center, Minneapolis; and the Nasher Sculpture Center, Dallas TX; among many others.